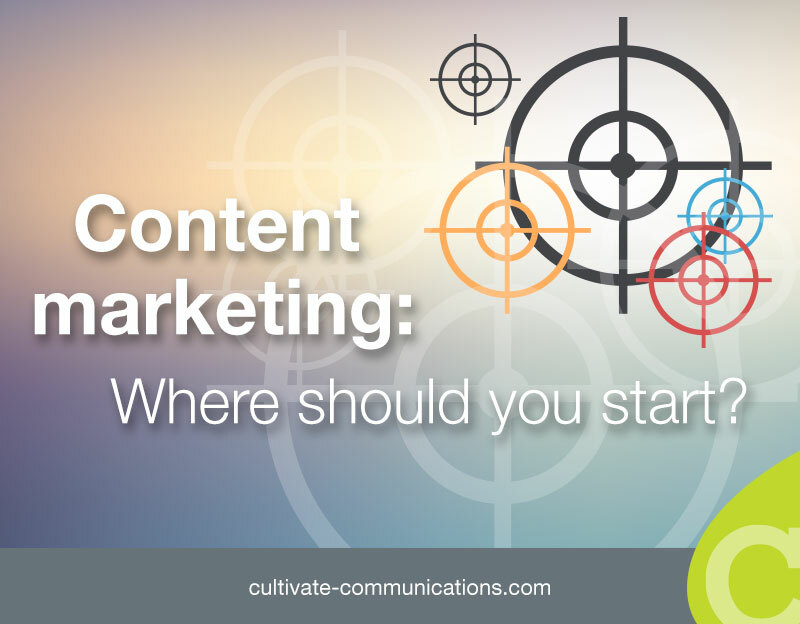 Content marketing: Where should you start? So you’ve decided to begin a content marketing initiative. But where do you start? There are so many options. Which audience segment should you focus on first? What part of their buyer journey should you address with your content? There is a simple solution: Focus the first phase of your content marketing initiative on a single, key segment of your existing customers. That’s right – instead of trying to discern the needs of prospective customers, why not focus on the ones you already know the most about – existing ones? Immediately after the sale they need product education: how to use it efficiently and effectively. In some cases, customers may need advice on how to integrate the new product into their existing operations. Some products have seasonal requirements, such as preparing a piece of machinery for the winter season or operating it safety during hot summer weather conditions. Throughout the post-sale segment of the lifecycle, customers always appreciate information on how to get more out of their product. Toward the end of the product’s useful life, customers need help understanding when it’s time to consider buying a new one, as well as options for upgrading or refurbishing their existing product. Why focus content marketing on existing customers? • Not enough staff and work hours to focus on the entire customer journey and all of the audience segments you need to address. Not enough customer data to build accurate customer personas. Making assumptions about the kind of information YOU think your customers need. A lack of training, processes and governance to manage the development, approval, publication and measurement of the effectiveness of your content. You already know a lot about your existing customers. You should already have a deep understanding of what their challenges are. You already have them on an email list, making it easy to communicate with them on a regular basis. You have an opportunity to cultivate greater customer loyalty, which can lead to repeat sales. You have ample opportunities to nudge them to consider purchasing related products or more of what they have already bought. You have an opportunity to transform your best existing customers into advocates and evangelists, who can help spread the word about the excellent resources and solutions you provide. Typical post-sale communication consists of boring, verbose product information, instructions, customer correspondence and newsletters. Of course, you must provide your customers with technical product documentation and support materials, but they don’t have to be boring. Why not take a fresh look at these materials, and brainstorm more engaging ways to deliver the same information? Why not ask your customers what else they need? Chances are, you will uncover ideas and opportunities that you had never considered before.